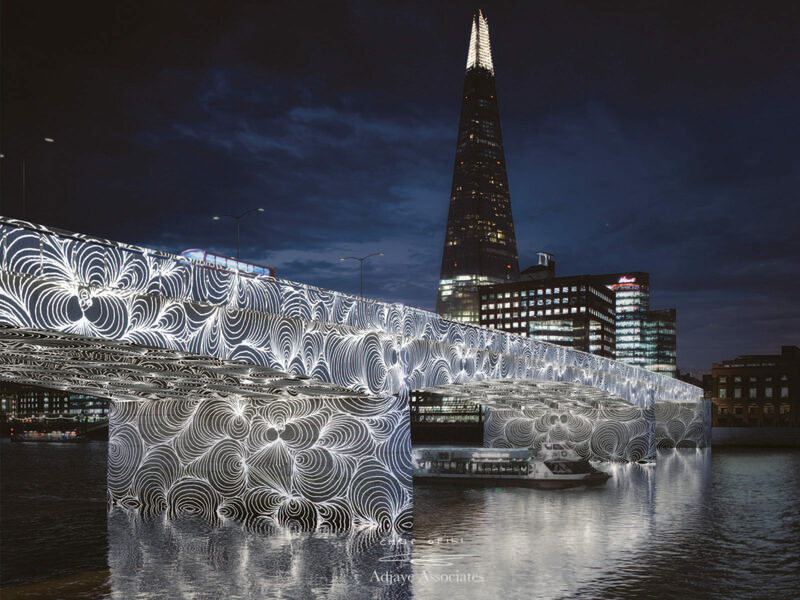 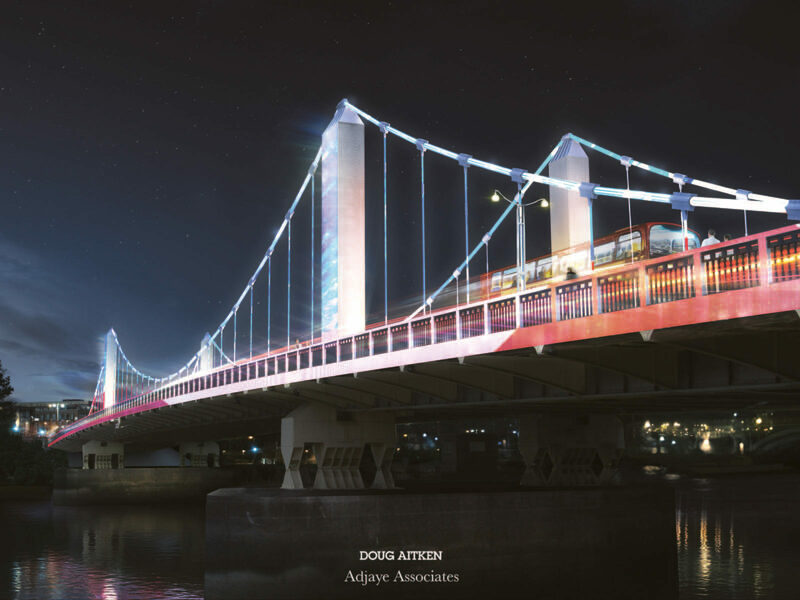 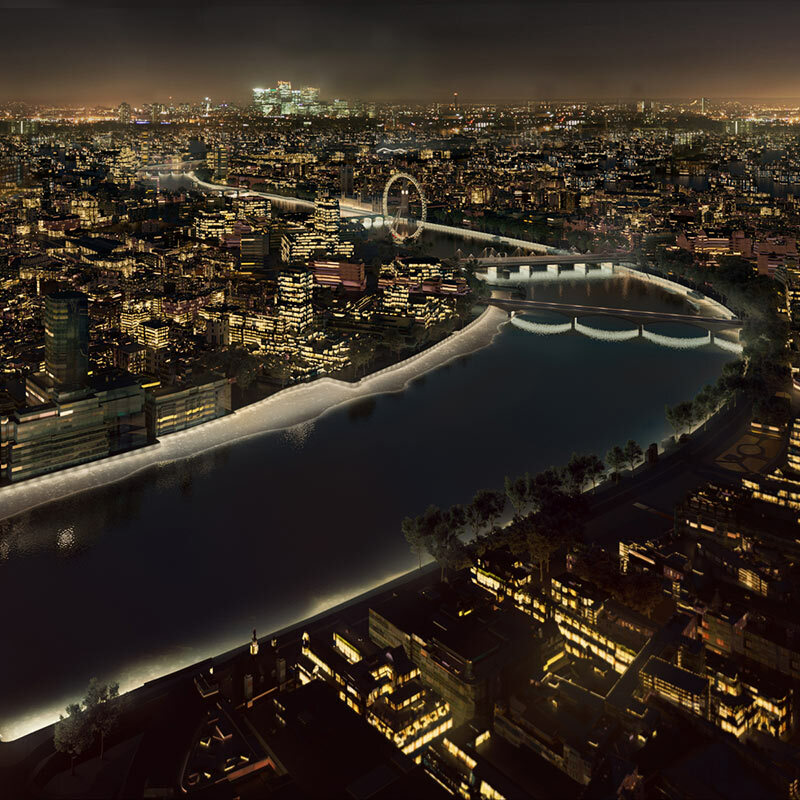 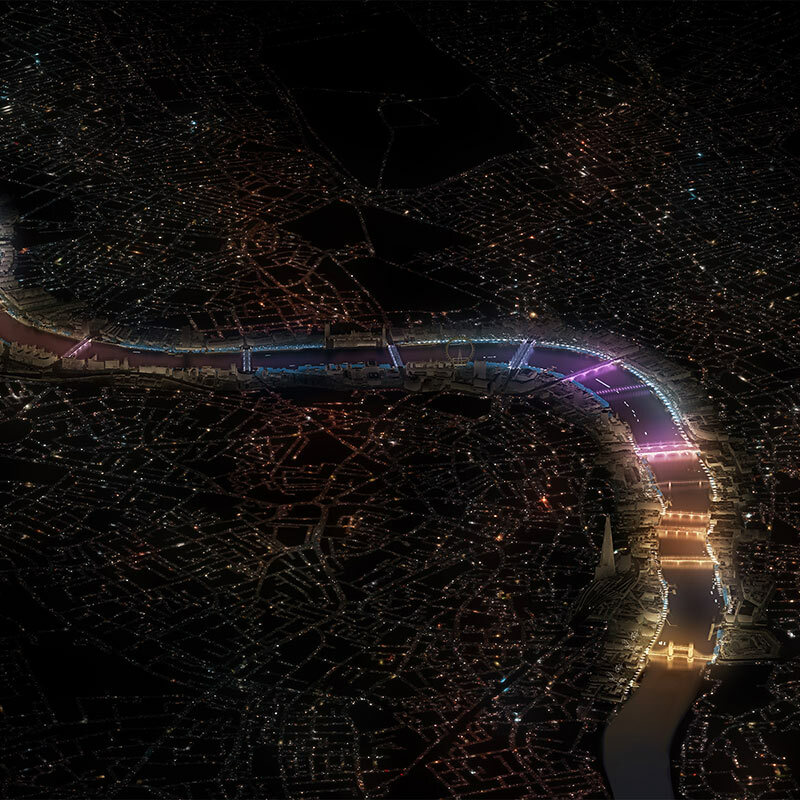 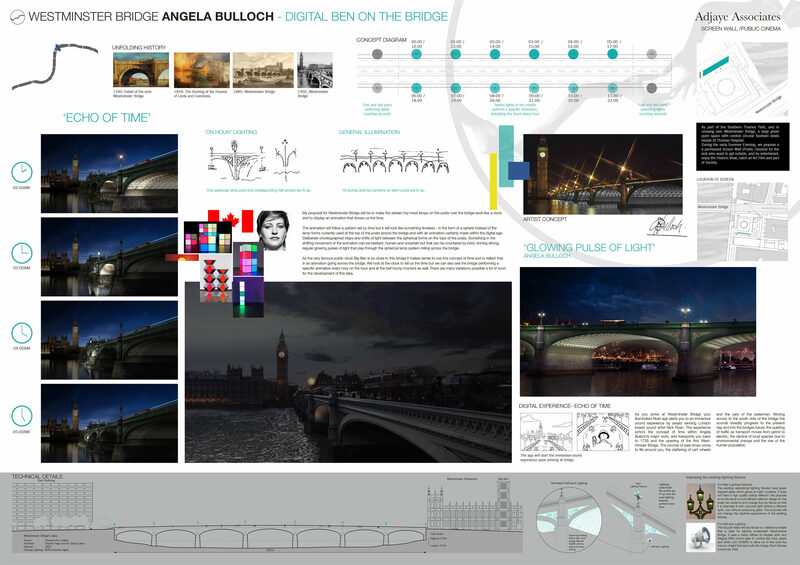 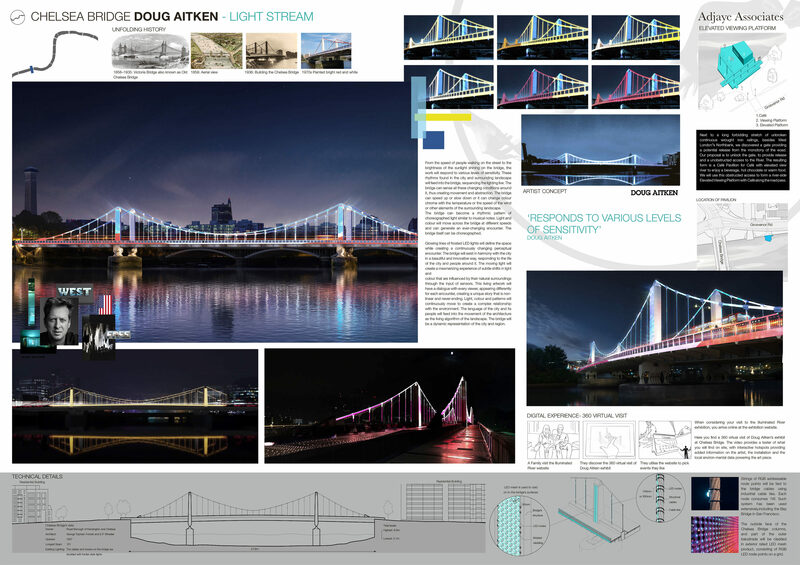 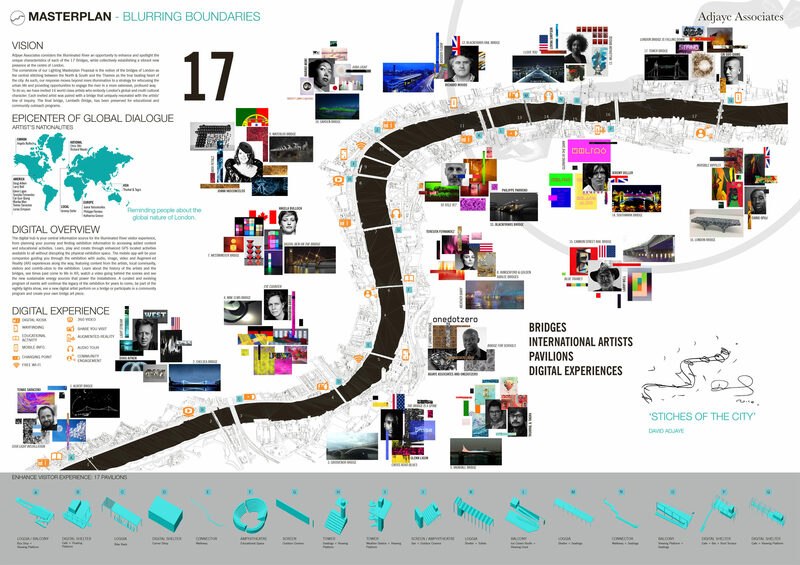 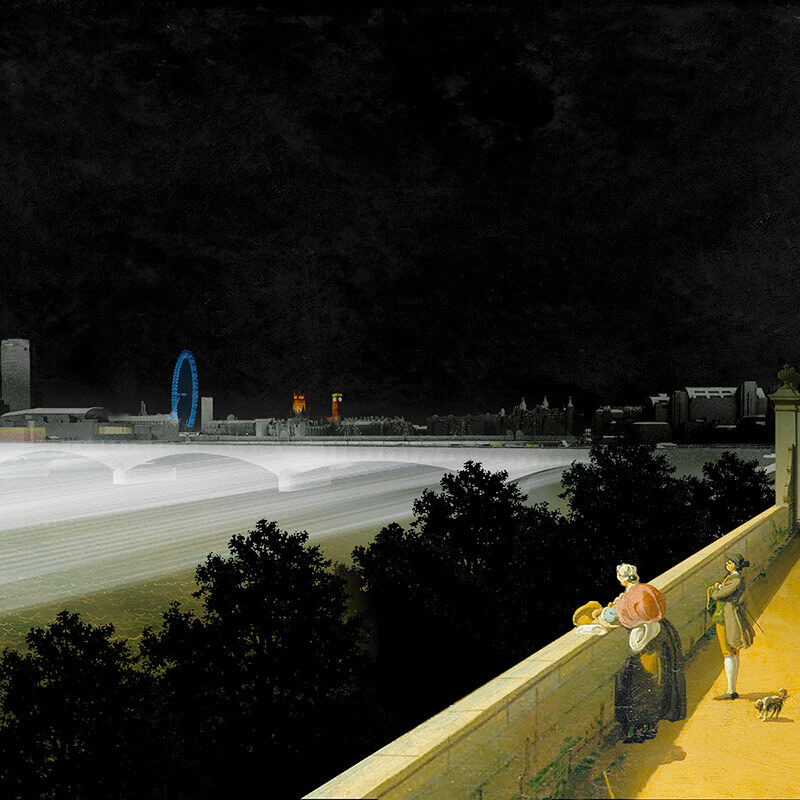 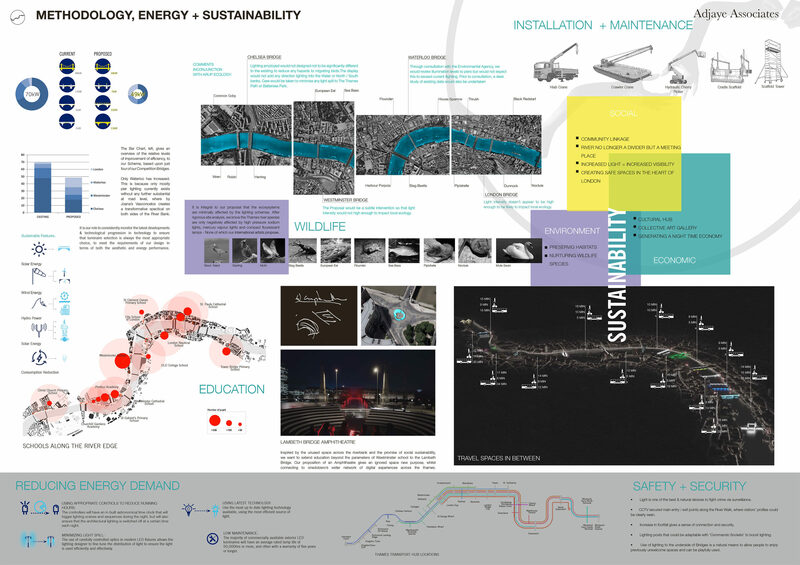 Adjaye Associates’ proposal seeks, through a series of distinctive installations that unfold and spotlight the unique histories and qualities of the 17 bridges, to reimagine the bridges not as connectors, but as the heart of London itself. 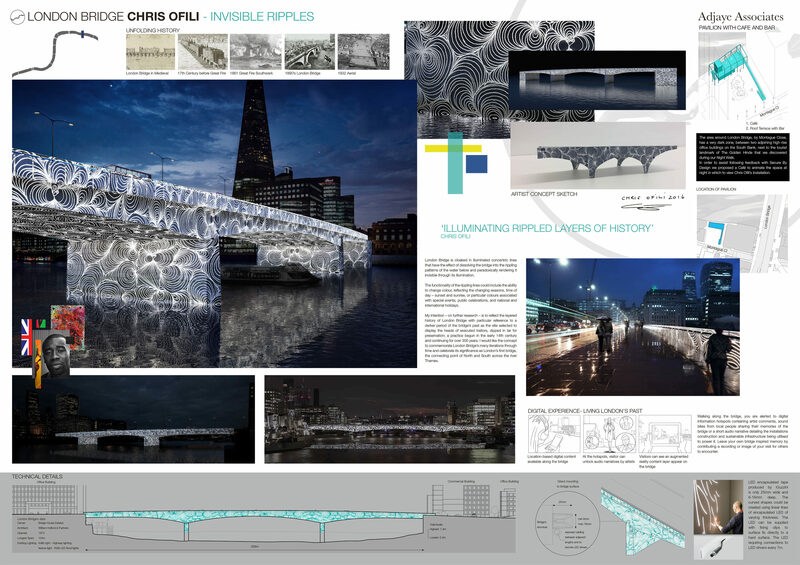 We have assembled a diverse team of international artists, each of whom has been charged with bringing to life the unique qualities of a single bridge. 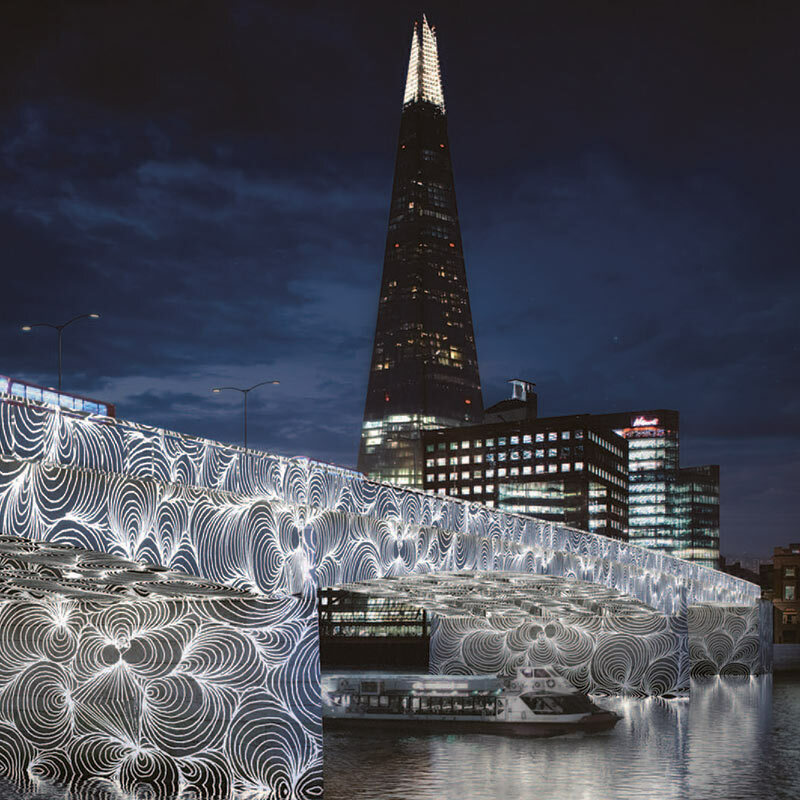 Individually, each bespoke installation reveals a distinctive nuance about its host. 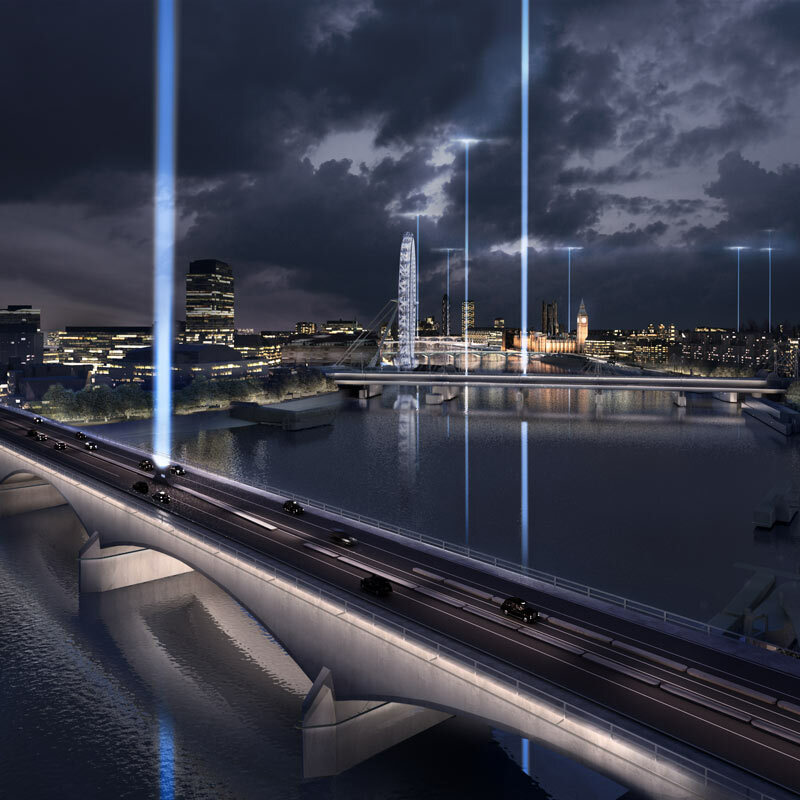 When considered holistically, they join to form a cohesive stitching for London’s heart, a vibrant new epicenter anchoring the two banks. 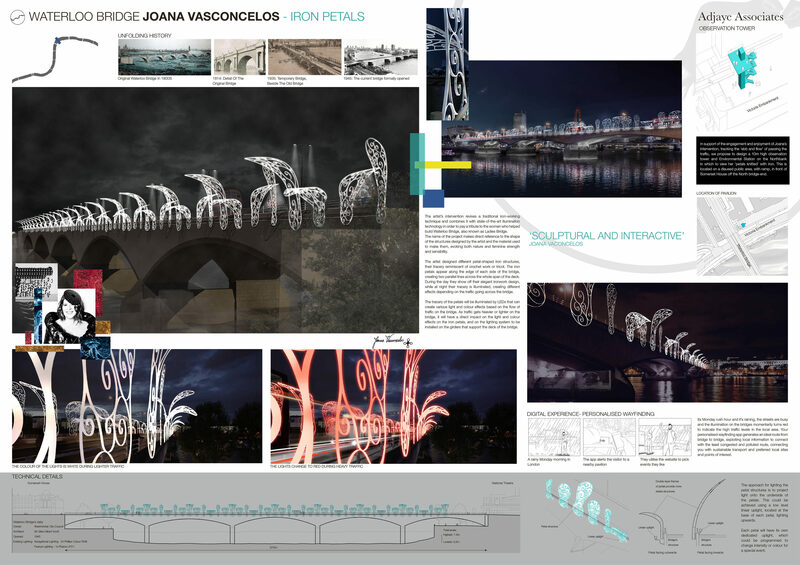 The installations are supplemented by a series of urban pavilions – including lookout towers, loggias and a new auditorium – running alongside both banks. 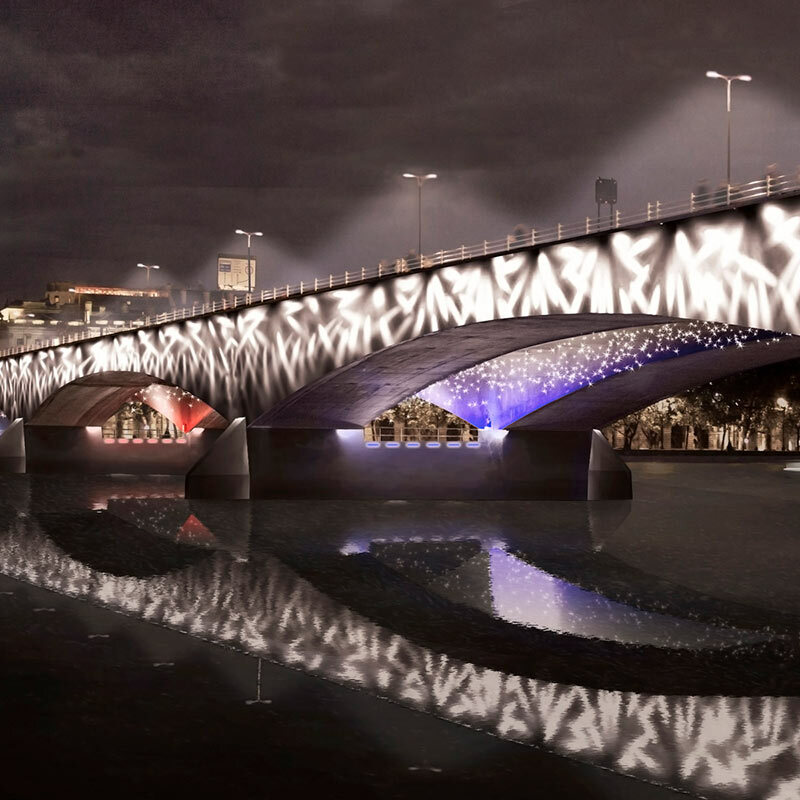 These pavilions increase cohesion and clarify Adjaye Associates’ broad curatorial vision, while providing new infrastructure capable of supporting a new pedestrian-accessible cultural hub.